On Saturday, April 6, Emmet Cohen was awarded the 2019 Cole Porter Fellowship by the American Pianists Association. With this distinction comes a recording contract with Mack Avenue Records. “We are extremely happy to announce that Emmet Cohen is the winner of the 2019 American Pianist Awards. I’ve known Emmet for quite some while, as most of us are aware, this is his third time as a finalist," says American Pianists Association President/CEO and Artist Director Dr. Joel Harrison. "He came beautifully prepared, focused and with imagination. Emmet is a brilliant pianist and he will be a wonderful ambassador for the American Pianists Association. Read more about this here. As impressive as Banda Magda’s global magpie approach is on record, it gives only a faint impression of the room-filling charm of their live performances. Leader Magda Giannikou is a compact, ebullient bundle of creative energy. She sings with lovely emotional clarity in multiple languages, plays impressive accordion, dances barefoot across the stage, and off it, to elicit a chorus of individualistic birdsong from the audience. The multi-continental band, all friends from her graduate studies at Berklee College of Music, matched her in virtuosity, joy and imagination. Each was given ample opportunity to shine, with Giannikou beaming from the sidelines, or, during a bass solo, from the floor. Based on Friday’s performance, if you get the chance, you do have to see her. sPANISH HARLEM ORCHESTRA WINS 3rd GRAMMY AWARD! Congratulations to Oscar Hernandez and the Spanish Harlem Orchestra for winning their 3rd Grammy Award for Best Tropical Latin Album! The award comes for their new album Anniversary. Maria Schneider has collaborated with Bowie and won a flock of Grammy awards. 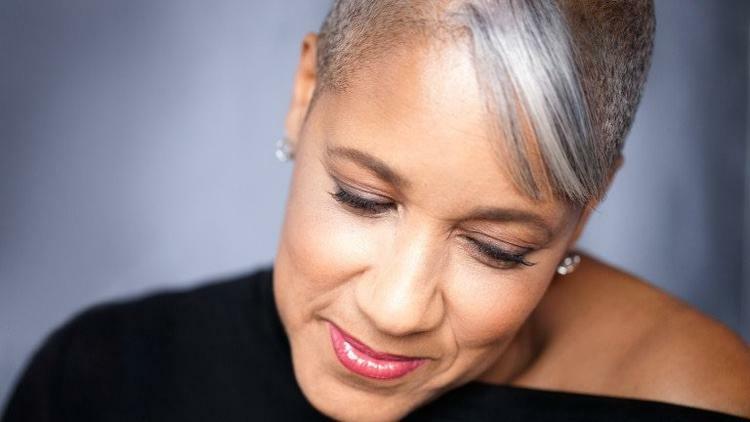 No wonder her orchestra's visit to Cork is being hailed as a coup for the upcoming jazz festival, writes Philip Watson. Read the full article here. Taking cues from their former boss, McCaslin and his collaborators on Bowie’s final LP boldly embrace a vocal-driven sound. Read the full article here. "McCaslin’s swarming horns lead the charge of swelling synths and light yet driving percussion. Singer-songwriter Ryan Dahle (Limblifter, Mounties) brings it all together with lyrics that capture the club show experiences of McCaslin’s college years juxtaposed against, of all things, bee migration. 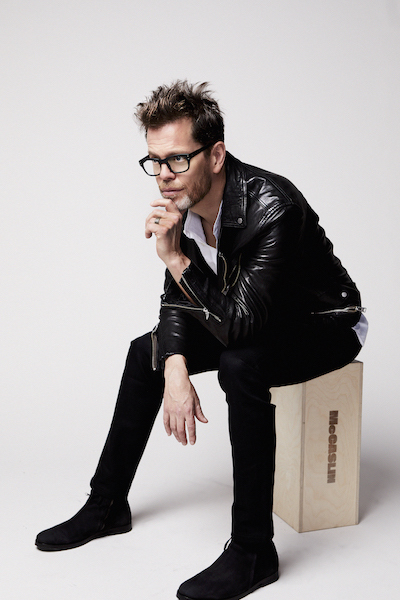 The result is something like jazz music for alternative rock fans, or perhaps the other way around." Take a listen to “Club Kidd” here. "Grammys are one thing. But being named an NEA Jazz Master is an even bigger honor, arguably the most prestigious prize in the jazz world. 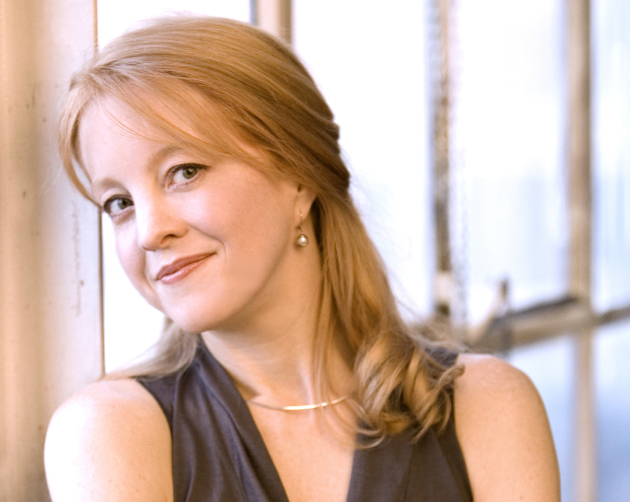 That’s the latest accolade for Windom, Minn., native Maria Schneider, the distinguished jazz composer, arranger and orchestra leader... Since 1982, 153 jazz luminaries, including Miles Davis, Ella Fitzgerald and Chick Corea, have been selected NEA Jazz Masters." "Arguably the highlight of the entire festival [was] Colombian harpist Edmar Castaneda, who brings a level of imagination and athleticism to his instrument that is frequently jaw-dropping. His special guest for the set, French harmonica player Grégoire Malet, seemed to coax ever more thrillingly percussive runs from Castaneda, as the two virtuosos traded solos, with trombonist Marshall Gilkes and percussionist Rodrigo Villalon’s occasionally weighing in with their own Latin jazz flourishes. But the harpist saved his most gorgeous work for a solo piece, “Jesus de Nazareth,” that silenced the chatty crowd with its luminous grace." "Drawing inspiration from Bowie's embrace of reinvention, McCaslin is sharing 'What About the Body', a daring, eccentric art-rock single that transcends genre lines, driven by gusts of saxophone. The lyrics hint at political tension: 'Left-wing, right-wing / What about the body?' The single is out June 13." Listen to the new single here. "'Well, I guess they were right about the weather,' pianist Fred Hersch said, welcoming rain-soaked attendees to TD Arena. Though a stark departure from the majestic Cistern Yard, it made no difference once the music began. A good sound system coupled with veteran musicianship transformed a cavernous gymnasium into an intimate club, reminiscent of a night at the Village Vanguard. It was nothing but net for the Fred Hersch Trio." "Brooklyn Gnawa music group Innov Gnawa have gotten some recognition within the world of Western pop music thanks to their live and in-studio collaborations with UK electronic musician Bonobo, and they’ve got two London shows with him next week. Before that, they play a hometown show on Saturday (5/26) at The Owl (497 Rogers Ave) with Sufi classical group Falsa. Later this summer, Innov Gnawa have another hometown show: the just-announced Warm Up at MoMA PS1. They play July 21, the same day as Maurice Fulton, Josey Rebelle, Antal, rRoxymore and Emily A. Sprague. Tickets for that one are on sale now." 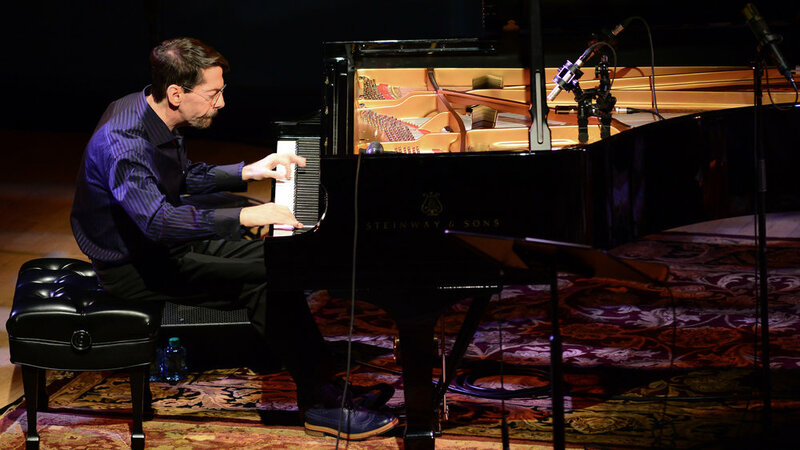 "At age 62, pianist Fred Hersch is playing as rousingly and rivetingly as ever. His latest disc, Live in Europe (on the Palmetto label), may be his best trio album to date. It also highlights another, less-noted trait—his restlessness. Hersch's sound is familiarly distinctive, but he never falls back on old tricks. He is known for his lush harmonies and galvanic rhythms. He'll occasionally toss a discordant number into a set, but it often comes off as an excursion. Here, though, he weaves the lyrical and the adventurous into a seamless web. His touch is, at times, both fleet and percussive, measured but swinging." Read the full review here. 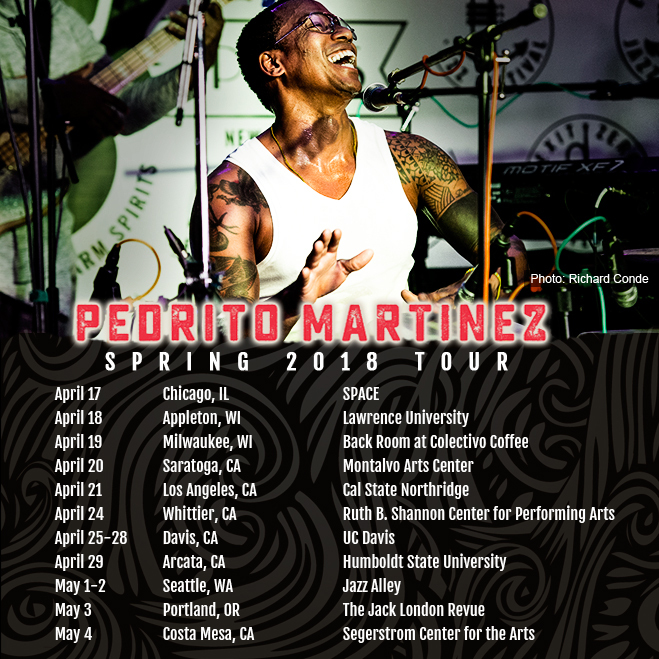 "The climax of the show was undoubtedly Pedrito’s solo piece. He began with some acapella singing, which somehow managed to be even more breathtaking than the previous pieces. This eventually gave way to an extended hand drum solo. The crowd was silent as they observed the spectacle. Pedrito’s hands were a blur as he pulled off complex, frenzied rhythmic figures at machine-gun speeds. Then, he slowed to a creep before gradually accelerating until his hands were moving at a speed that appeared to defy the laws of physics." Click here for the full show review. 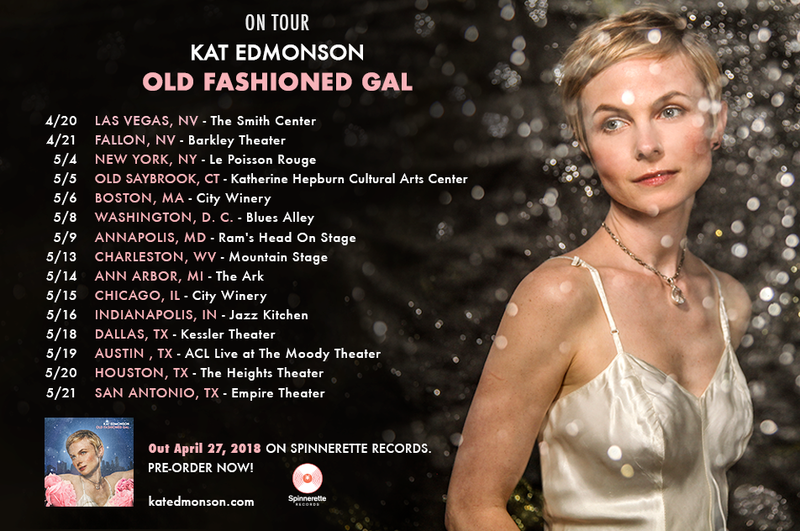 In anticipation of Kat Edmonson's new album and tour, Billboard has previewed her new single A VOICE. Here is a link to the feature. 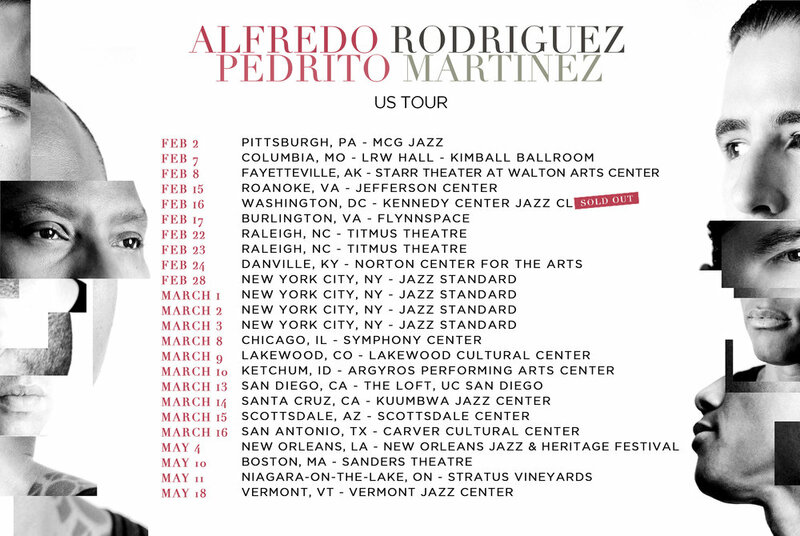 Delfeayo Marsalis to play first ever Jazz Festival in Saudia Arabia! February 22-24, 2018, Delfeayo Marsalis will lead his band at the first ever Jazz Festival in Saudia Arabia, located at the Riyadh InterContinental Hotel. More info here! "There has always been a strong sense of playfulness in the globally focused music of Banda Magda. Led by Greek-born singer and bandleader Magda Giannikou, the group has members from four continents and, like so many of today's leading transcontinental bands, has links to Snarky Puppy. While debut album Amour, t'es là went retro with cheeky chansons and sophomore work Yerakina brought us tight covers of international classics, though, new album Tigre has a timeless, reality-transcending vibe to it. Theatrical and multilingual, Tigre uses Banda Magda's unique sense of over-the-top color, broad set of cultural influences, and knack for aural fantasy to escape into vibrant melodrama." 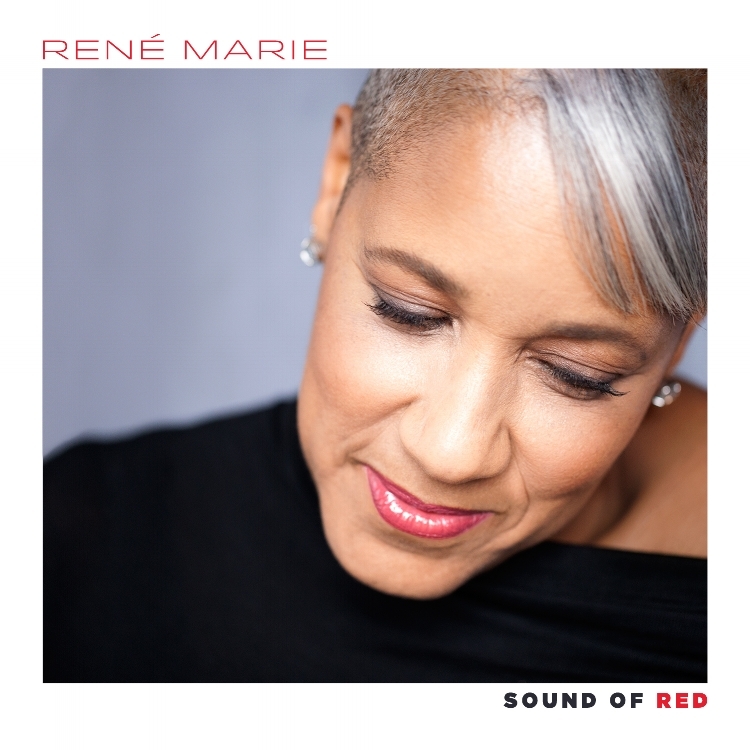 "Technically speaking, singer Rene Marie’s performance Friday night at the University of Chicago’s Logan Center could be called a jazz set. More accurately, though, it amounted to an unlikely fusion of theater piece, performance art, self-styled choreography and, oh yes, some of the most expressive jazz singing one might hope to hear." "Fred Hersch is no stranger to the art of introspection. As a pianist, a composer, a bandleader and a sideman, he has always combined clarity of projection with a willingness to go deep. His latest expression of interiority is a graceful and revealing memoir, Good Things Happen Slowly, which takes shape as a gradual declaration of selfhood, in personal as well as artistic terms. This week, Jazz Night in America joins Hersch in conversation at his loft in SoHo, to talk about his upbringing in Cincinnati, and the early realization that he was gay; about his scrappy arrival on the scene in New York, back when certain gigs stretched past dawn; about his death-defying recovery from a coma in 2008; and about the creative breakthrough he had a few years before that, adapting the work of a personal hero, the American poet Walt Whitman." Click here to listen to the feature! There's a song on Old Fashioned Gal called "Not My Time" that seems to allude to that experience, with a bit of wry comic distance. ("I auditioned to be a star," it begins.) But Edmonson, who produced the album and wrote each of its 11 songs, isn't looking to revive grudges here. The album is a handsome showcase for her songwriting, which has grown ever more confident over the last decade, nostalgic in tone but clear-eyed in the application. Click here to listen to the feature! Congrats to Fred Hersch for receiving nominations in the Best Jazz Instrumental Album and Best Improvised Jazz Solo categories. We are also thrilled to announce that Innov Gnawa has been nominated for the Best Dance Recording category for their collaboration with Bonobo. Here's the full list. Innov Gnawa set to play Big Ears in Knoxville, TN! Of all the vocal-driven ensembles in the world of contemporary music there is none as compelling or beckoning as Banda Magda. "In the music of this group there are many moving parts, but there is no doubt that its driving force is Magda Giannikou who is most often listed as having played accordion on stage or in the studio, but is also a multi-instrumentalist who makes it seem as if she was also born to be – among other things – a truly gifted contrabassist. As a composer, Miss Giannikou conceives works that are operatic in scope even when she is writing a 5-minute song. Her Grecian background enables her to create and empathise very deeply with the characters and her music is redolent of rhapsody, and dramatic catharsis. As a singer she is unmatched in her ability to captivate – even seduce – her audiences with whom she could be in just about any part of the world as she can write and sing lyrically in French, Spanish, Portuguese, Greek and English thus far, at any rate." Click here to read the full review. She got the go-ahead to pursue jazz, but only as a hobby. Marie began singing with a quintet called Just Friends. Conveniently, the band’s jam sessions were held across the street from the Wachovia bank where she worked. Within a year, she was leading her own jazz trio and preparing to record her debut album. Not so fast, said her husband, who demanded she end her budding singing career, there and then. If she went to the recording studio, he warned, she could not return home. Moreover, he vowed, if Marie did go to the studio, she “would have hell to pay.” After Marie asked if he was threatening her, she recalled matter-of-factly, her husband beat her. “When he was done, I got up off the floor and asked him: ‘Are you finished?’ And he said: ‘Yes.’ I packed up my music, got a few of my clothes and left in my car. I never went back” she said. This is FRESH AIR. I’m Terry Gross. You could almost say my guest, Fred Hersch, returned from the dead. He’s a jazz musician and composer who has had HIV for more than 30 years. The diagnosis came at a time when he was thinking he was ready to come out. It’s hard to think of another jazz musician who was out at the time. Hersch’s new memoir “Good Things Happen Slowly” is about what it was like to be closeted in the jazz world, and then come out as gay and as having AIDS. Click here to listen.